Carlos Saldanha the director, Lori Forte the producer and Chris Wedge the director of the first ‘Ice Age ’ and executive producer on this film talk about animation and global warming. Q: What are we going to see differently in this movie? Carlos Saldanha: The first thing we changed was the fur. We loved the look of the first movie but we wanted to do more with the fur so in order to do that, we had to develop the technology for a new kind of fur that could be more animated. So the fur became another character in the film. Now with the new fur we can add wind, we can animate more, we can have them look wet, we can have them move under water, so we had a lot more freedom. But the idea wasn’t just to create new fur but to make it look the same as the first one so that took a little while just to develop. On the first one we used more cards technology with thousand of cards for a texture map and then the characters could have some movement but was a little limiting. In this film, they actually have fur. So now it’s millions not thousands. That was the biggest change in terms of–of course technology evolved so we had to remodel the characters, even though we had the template from the first one, we had to remodel all the characters because the technology had changed so that changed a little bit but we recycle a lot of environments, we managed to reuse a lot of rocks and trees and mountains so it was a good thing that that–being part of the same design stylistic–there was a choice because we wanted the world to feel similar to the first one but melt down, a little more lush, a little more of a forest feeling, a little greener. Lori Forte: A lot more water. Carlos Saldanha: A lot more water, yeah. Also, as Lori mentioned, water is something that you don’t quite see as much in the first act but as we progress through the acts, water plays a much bigger role in the movie and some sequences are going to be pretty intense. That took a lot of time and we are still working on getting those shots finished for the end of the movie so there are LOTS of effects. Q: When designing characters do you have people in mind? Lori Forte: Sometimes we do. We did for Ellie. We definitely had Queen Latifah in mind for Ellie, but for most of the other roles we didn’t and often what we did, and we did it on ‘Ice Age 2’ and I don’t know if you did it on ‘Robots’, but what we do is, once the character is designed we have drawings of them or we have sculpts or models of them. We often listen to actors voices and we’re looking at the picture; we’re looking at the model; we’re looking at the sculpt and really to see, can we believe that that voice would come out of that character. So we have the design first and then find the voice to match the design. And as Chris said, it does change the performance of how the animators will animate. Those characters will change because then we get the voices before we actually animate so THAT is all dependant on the voice performance and then what the animators bring to it by their own performance. But as far as casting goes, yes we usually have the idea first for the character and then the actor. Carlos Saldanha: Yeah, I I know other studios might do it a little differently but the way we do by the time we start casting we already have all the characters pretty much all designed. Q: What were the concerns for the sequel? Carlos Saldanha: Yeah, well it could be a blessing and a curse at the same time, you know. It’s great because the first movie was so good and people loved the characters so much that we had confidence that the main characters would remain the same. But, the key was to keep the characters, their personalities the same but advance their story a little bit. What would be the next step for them? What would be the next level for them? And we made a few choices as we went through this movie and also what would be based around that. What would be the new cast that we’re bringing to the movie? That’s the case of Fast Tony, the possums, Ellie, as the love interest for Manny, and that just pluses the movie. It’s a challenge like we don’t know if it’s going to work until we know it’s pieced together. But I think we came up with something that brings like a new dimension to the ‘Ice Age’ story. 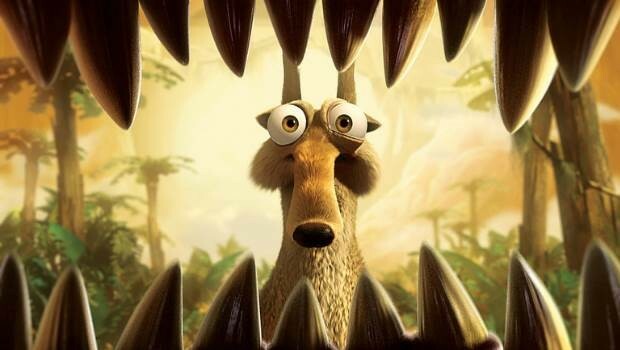 It definitely feels like we moved forward with it, and the key is to keep the fun and freshness of ideas, especially with Scrat. We’ve done shorts with him and you know, our first movie with him. And now we just have to come up with new ideas, and I think we managed to come up with a few of those. Q: Giving awards for digitally created performance–are these worthy? Chris Wedge: It’s a difficult one because every character on the screen is not one actor playing or one technician or one artist it’s a collaboration. And the way we cast talent even at Blue Sky is that it isn’t just one group of people working on the same character. You have to give an award to the whole studio. Carlos Saldanha: I think that Gollum in a way was an actor there. Almost like a human character in the entire movie. Ours is all animation so I don’t know how we can set it apart from something like King Kong. I don’t know. Chris Wedge: I was just going to say something stupid. They should give awards to these characters. Q: Why did the first one do so well all over the world? Carlos Saldanha: I don’t know! Lori Forte: If you can tell us that we could we could have success with this one too! Carlos Saldanha: I think we’re all gonna have a theory, I guess. You know, mine was just because it was earnest and true – a basic emotion I think people relate to, you know, heart felt comedy. What do you think? Chris Wedge: Making ‘Robots’ after ‘Ice Age’ I realized how much I learned on ‘Ice Age’. On making ‘Robots’ I realized that I learned it. It’s all character, it’s just all character. And the tiniest little story that can string the characters lives together, if we enjoy them, and if we care about them, if they entertain us that’s what with the enjoyment is. People get the story very quickly and ‘Ice Age’ structurally had a very simple story. And inside that story there were large areas just to play, and I think that that was the fun of it. And I have to tell you, I think Carlos is being modest that ‘Ice Age 2’ although it’s not the same movie, it’s the same characters. And the effect of watching the movie is not like spending another day, it’s like spending another year in high school with the same characters. It’s different but something holds it together. Q: What’s the difference between you and Disney? Lori Forte: And he was a storyteller at heart, I mean that’s another thing. He just told brilliant stories and I think set the present path for Pixar, and for all of us really. Lori Forte: You know, it really comes down to Chris’s characters and reliability, and how you love the characters and feel for what they’re going through and relate to what they’re going through. Ut’s really about you character and story and it doesn’t matter whether it’s computer or whether it’s 2D the way Walt Disney had it. It’s still if your feelings are coming from the same place and he would have, you know, probably as Chris said, probably, become so proficient with computers had he lived, had he gone through this. And he would have taken us to where we are and maybe surpass where we are. But it’s the natural progression of storytelling. It doesn’t matter what medium, it just it depends on the characters and the story. Q: The first line is, “the global warming is killing me,” which is true. What’s your take on this? Carlos Saldanha: Well it it’s funny because there’s a lot of things that are happening in this movie that, well we’ve being working on this movie for two and a half years, a little bit more, and a lot of events happened. Like last year was a very unfortunate year in terms of like nature playing with us a little bit and showing how powerful it could be. But the movie was done pretty much in terms of story, and for some reason, like some of the topics we talk about in this movie, it is very current, it’s very now, it’s happening to us. Like global warming, like floods and stuff like that. And it’s a very serious thing. The thing is we try to use those elements in a very serious manner although we know, it’s still a cartoon, it’s a comedy. We have our characters, but we try to put them in real situations for their world and just treat them with respect so – and I think that’s the message we can come out with – the world is changing and the world will change. You just have to make the best out of it and keep your values or keep hope, and keep moving forward and do what’s best. Lori Forte: But I don’t think any of us set out to make a movie that was, you know, environmentally conscious or that was preaching or was predicting anything that was going to happen. Our story and our characters take place in nature and when you’re telling stories about nature and it’s set in nature there’s an order to make it relatable. We’re going to you be showing things that we all know and that we all can see and those logical progressions will ultimately, coincidentally happen. When we were making the first movie, when we were making ‘Ice Age’ we had, again, the script done and we in production – well into production – when they unearthed that mammoth in Siberia and they did that documentary of it and how they unearthed it from the ground. And this was while we were making the movie so it’s not that we were, you know, we didn’t know the future, we didn’t know that they were going to find it, we didn’t set out to do that. But I think things start crossing paths and it was just a great coincidence that that happened for us. And this one was less than you know, a great coincidence that the last year had been so so difficult. But I think it does, you know, sort of point to things in nature and the reliability of what our characters are going through. In our movie we really go through it and we take them through this whole event and ultimately they are survivors. And it’s very uplifting. And it’s – oh! I told you the ending–sorry–but you know, you can’t get away from those kinds of stories that are going to cross over into our realties. Q: What kind of message can an adult get from the movie? Carlos Saldanha: From the movie? I think there’s a a few messages. I don’t think there’s one single message, but one of them is “face your fears.” You know? Like overcoming your fears. Make sure that you face your problems like head on. And I think all these characters, they’ll be facing their personal stories. They would have each one of them have personal stories and they have to overcome their fear. They have to overcome their obstacles to become a better character. Lori Forte: And it’s still always about friendship and family. It still, as in the first movie, it was the first dysfunctional family that came together and in this one it’s the evolution of that family. They’re still together and now it’s extending even further. But, it’s still, at the end of the movie, about family. Q: How many writers are involved? Lori Forte: Um, well you know, it all varies. I mean some of them have very few writers and we had um, a team of writers? Lori Forte: Five or six, you know, sort of writers throughout the course of the time. And then we also have writers who just do comedy ‘punch up’ that we go to towards the end of the process. Once we have the sequences working we want to make them funnier and they come in and help us with that. So there are different writers that have different strengths and do different things. And it all changes! In a way, what we do is we board a sequence over and over and over again until we’re happy with it. We have a sense of input voices and we add temp voices sometimes, temp music, just to get the feel for it. Then, as we start to get used to the orders and sequence, we adjust the script at the same time so it runs on a parallel track for a while until we start production for real; until we start animating. That’s when it’s starts to get a little tricky because once you start animating a sequence, it’s harder to change. It’s hard to change a line. It’s hard to change a character. So we have to figure out those problems early on. So, we work very hard on the preproduction, trying to get everything up on reels and edit it and with the right voices, the right dialogue and everything. Lori Forte: Did we leave anything out? Lori Forte: But we did have some new characters that we did have to do that. I mean obviously the three new main characters. Chris Wedge: A lot of the tone we had took us a long time to discover on ‘Ice Age’. Q: Did the pressure ever get to you? Chris Wedge: Obviously we’re constantly aware of it and you can see that we have new technology at our finger tips. We had many more people in our studio, but we made sure that the style of the film, which was even simple by our standards when we did it four years ago, remained the same in ‘Ice Age 2’. That the look was the same. That we just honored that. And, yes, it’s on our minds to keep it alive because it’s just, for me watching this movie with an audience, it’s just one of those sequel moments where you’re just glad you’re there. You’re just glad to be with these characters again and it’s just good to see that they’re alive and, you know, it’s good to see that you don’t have hear them say jokes because you’re just playing the same old DVD over and over again. It’s a new story. Q: Do you watch the competition’s movies? Carlos Saldanha: No, I watch them and I worship them! I don’t call it competition. It’s great to watch. I love watching Pixar movies. I like to watch some of the Dreamworks movies. I enjoy Tim Burton. I love “Wallace And Grommet.” I enjoy animation as a whole – whoever it comes from. But it definitely gives me or gives us more energy just to go out after and do it better, you know, just keep getting better and better and better. Q: Do you regret the demise of traditional animation? Carlos Saldanha: I don’t know. I don’t like to think it’s the end of it. But I do love computer animation. That’s what we do and that’s what I love doing. But I love the other movies too you know. And I think there’s a public for it. Last year was a good example, ‘The Corpse Bride’ and ‘Wallace And Grommet.’. And those movies did fairly well and were critically acclaimed. And the audience loved it. So that’s great. I love that. Hopefully there will be more. Q: Why are cartoons so loved? Carlos Saldanha: I think cartoons evolved. I don’t think we can call them cartoons anymore – like just for cartoons for kids. It’s cartoons for family, so I think that the audience got bigger. All of a sudden we see adults laughing as hard as kids laughing at the same time. It’s funny chemistry. It’s a family business now. You go in now and you see grandma, dad and kids all together having a good time and watching it and they can’t wait to see it. I get as much good vibes from kids on the street talking about making a sequel as I get from adults and how much they loved it.